Heavily pregnant Danielle Lloyd has furiously slammed James Jordan after being upset by a jibe he made about her on Twitter. The reality star – who is expecting a baby with fiance Michael O’Neill – was angry at former Strictly Come Dancing star James for joking that she’s still living off her ex-husband Jamie O’Hara, with whom she has three sons. 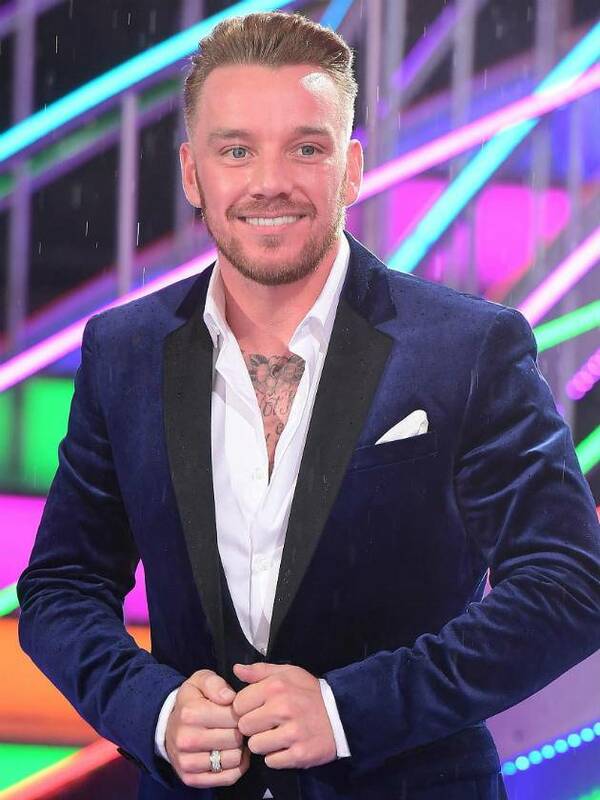 It all unfolded when James and Jamie – who were in the Celebrity Big Brother house together earlier this year – were taking part in a Twitter exchange that basically consisted of them jokingly taking shots at each other. Danielle, 33, wasn’t too pleased when she found out about this and took to Twitter herself to slam James for his claims. ‘@The_JamesJordan lookin at a CSA letter now sayin he pays NOTHING 4 his kids U may go round banging but u have no right 2 say that about me,’ the expectant star wrote. This didn’t lessen Danielle’s anger about it though. ‘Don’t care it’s disrespectful please keep me out of your banter it’s not funny am engaged pregnant and don’t need to be involved in s***,’ she Tweeted. Many fans supported Danielle in the row and blasted James for upsetting her. ‘You’re not cool @The_JamesJordan; having a pop at @MissDLloyd – 9 months pregnant, knowing ZERO about her situation with Jamie. Please rethink that comment and be decent,’ one Twitter user commented. It comes as Danielle prepares to welcome her new baby boy, thought to be due this month.